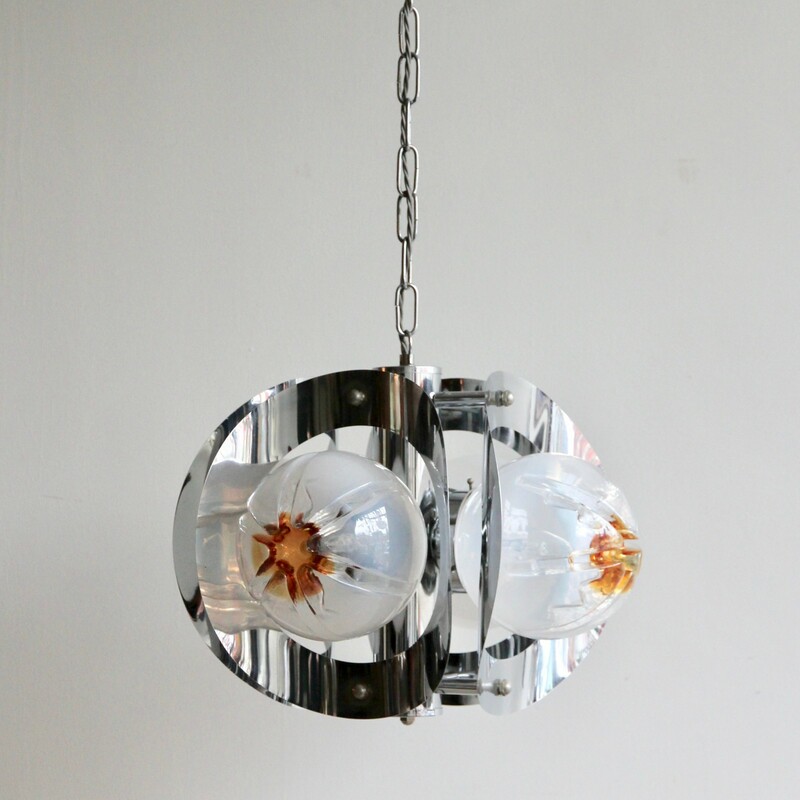 Italian 1970s chrome-plated pendant with four Murano glass globes. Uses SBC, B15 fittings. Supplied with chain and ceiling rose.